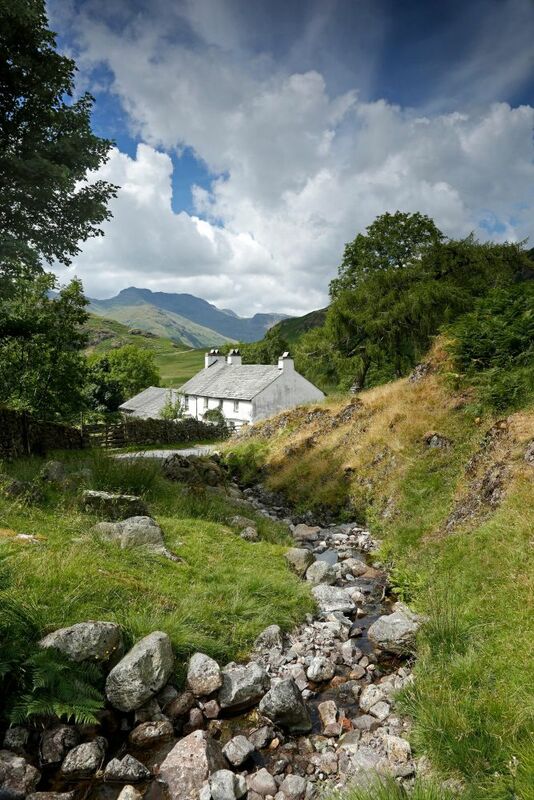 Blea Tarn House and Bowfell from Little Langdale is the perfect picture postcard. Blea Tarn House is a whitewashed Grade 2 listed building owned by the National Trust in Little Langdale. I took this on a recent visit when luckily after a very misty start to the day, the clouds lifted giving a dramatic backdrop to the image.